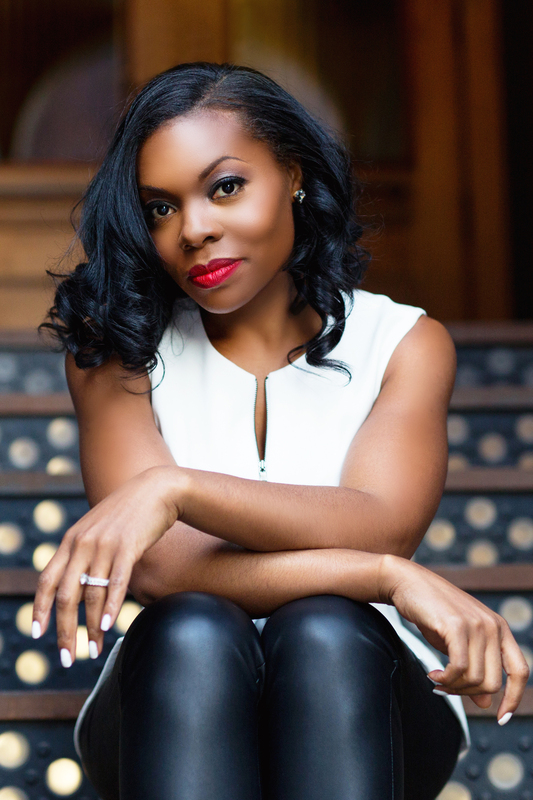 Kristen L. Pope is an award-winning broadcast journalist. Pope has worked as a general assignment reporter for News 12 Westchester in Yonkers, New York since 2014. At the Emmy Award Winning station, Pope has covered some of the biggest stories in the region including Pope Francis’s recent visit to the North East. The passion for creating the series came after Pope’s experience as the Education Reporter for KTXS News in Abilene, Texas. There, she honed her skills as a writer, reporter, anchor, videographer, producer and editor. It’s also where she filed her first special reporter: “Refugee Students still Struggling with English are required to take the STAAR Test.” That story went on to win First Place in the documentary category at the New York Association of Black Journalist Awards. Pope’s passion for telling stories started at a young age, when should used to write fiction for fun. She was able to enhance her skills while studying at Hampton University’s Scripps Howard School of Journalism and Communications. She graduated in 2005 with a Bachelor’s of Arts in Broadcast Journalism. Since then, Pope has interviewed community leaders including Reverend Al Sharpton, TV One’s Roland Martin and former NAACP President Ben Jealous. Pope’s also become a sought after speaker and mistress of ceremony. She has MC’d the Hudson Valley Chapter of the Links: Ladies in Hats Luncheon, 100 Women of Color Gala, where she was also honored, and the Face of Darkness: Journey to Healing Gala. Intensely involved in community activism, Pope founded The King’s Daughters, Inc., which focuses on creating good character, pleasing God and maintaining abstinence until marriage. The King’s Daughters provides empowering messages, group gatherings, outings and encouragement as a community. In addition, commercials she produced for the organization were featured on BET’s 106 & Park and WRKS Kiss Inspirations – 98.7 Kiss FM. She’s also an active member of the Pi Delta Omega Chapter of Alpha Kappa Alpha Sorority, Incorporated where she serves on several committees. In 2010, Pope added author to her list of accomplishments, as her dream of being published came true with her contribution to the Souls of My Young Sisters: Young Women Break Their Silence with personal Stories That Will Change Your Life. Pope began her career on air as an intern and then reporter for Hampton, Virginia’s Public Access Channel, 47. Pope wrote scripts for the channel’s original programming and coverage of city-wide events. She also held positions doing in-house and field production of scripted shows. As a college student, Pope received her first job in media production with the former Vanguarde Media, Inc. as a television production intern for the “Savoy Living,” show which aired on the Fine Living Network. Pope graduated from the Scripps Howard School of Journalism and Communications at Hampton University, in Hampton, VA. During her years at Hampton, Pope earned Dean’s list honors and served as the personal photographer for Journalism Dean and long time TV host, Tony Brown. When Pope is not working or serving, she enjoys spending time with her husband Richard.